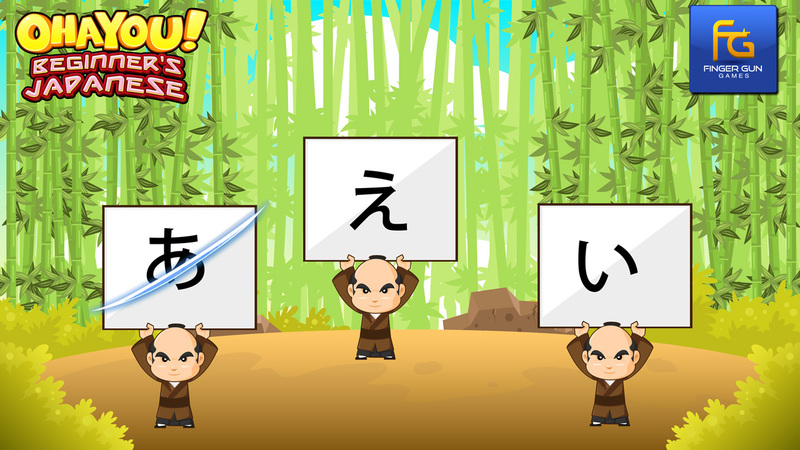 Stone Shire developer Finger Gun Games is prepping its next Wii U eShop release. 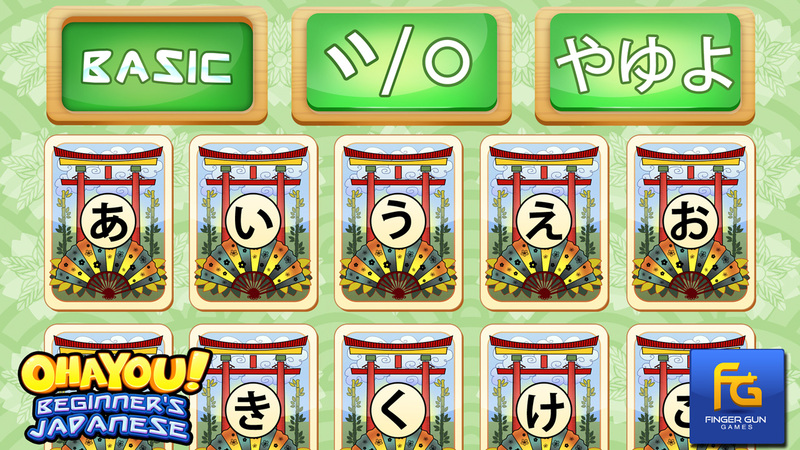 With “Ohayou! 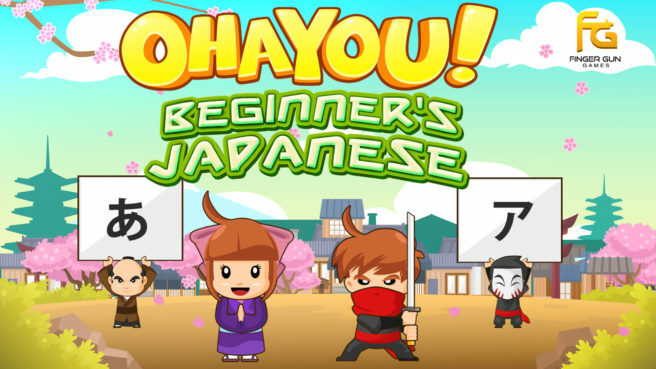 Beginner’s Japanese”, the indie developer is making an edutainment download which promises to teach users the basics of Japanese Hiragana and Katakana. 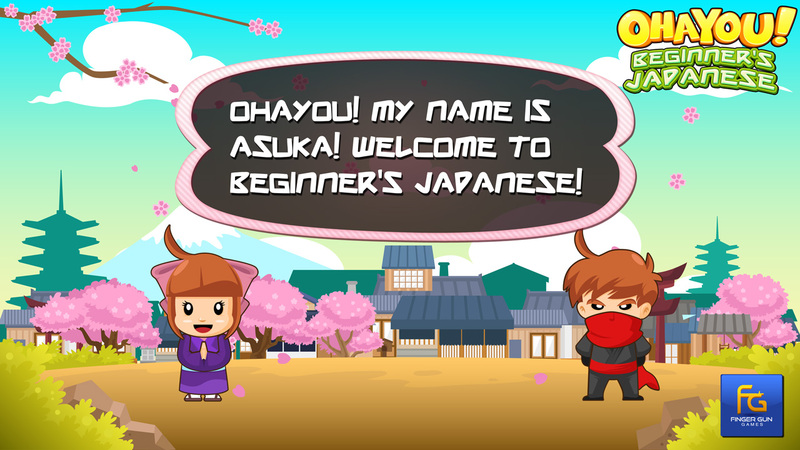 While the instructors Asuka and Kenji give you teachings on the TV screen, the player will use the Wii U GamePad to navigate menus and turn around digital flash cards to give them more details on a chosen Japanese character, such as its romaji relation and a vocal pronunciation of it. 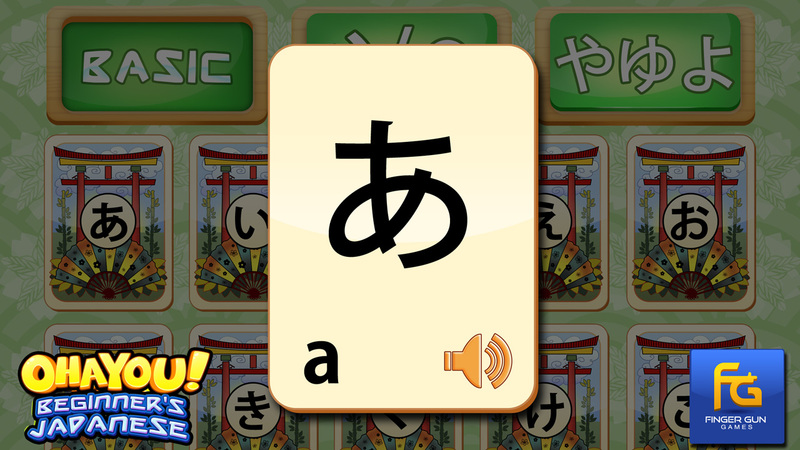 When you think you’re ready to test your knowledge, you can then participate in the memory games where you will use your finger like a sword to “cut” across the correct cards that match up with an indicated romaji or vocal sound. 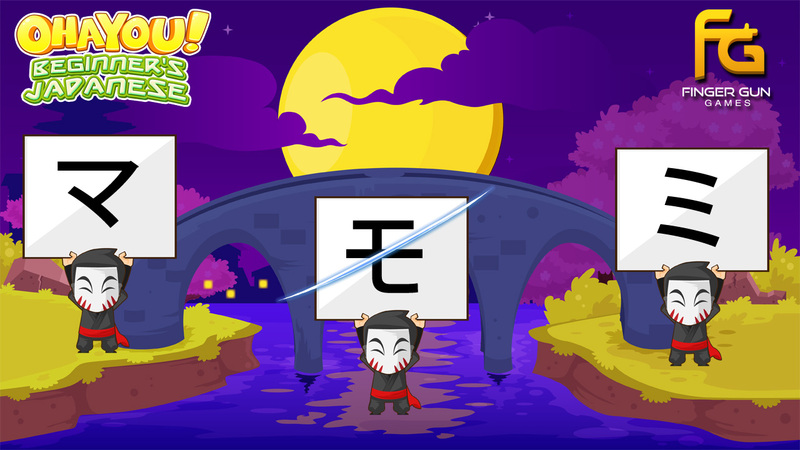 Master all thirty tests and you will become a Hiragana Samurai and a Katakana Ninja! 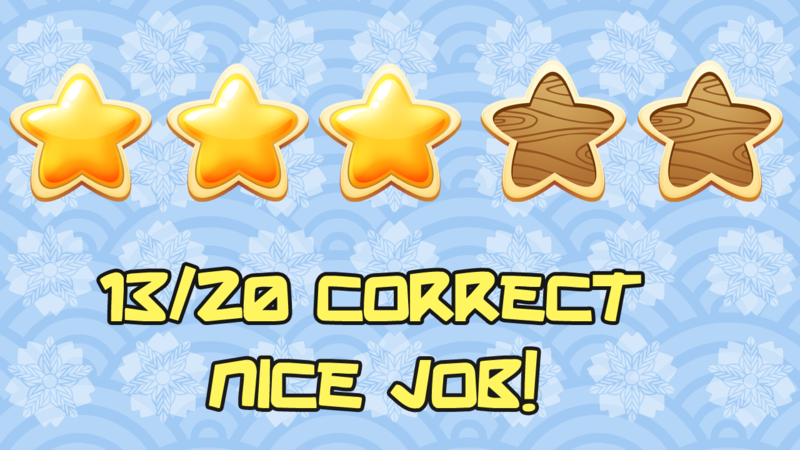 Release date will be coming soon! You’ll find some screenshots of Ohayou! 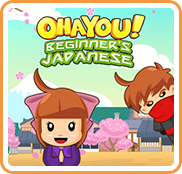 Beginner’s Japanese below.